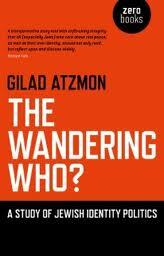 Who Is Gilad Atzmon… and, Who Are We? Throughout this book, it is the third category that Atzmon considers “problematic,” and which he probes with magnifying glass and scalpel. It is a category that includes Zionists and anti-Zionists, religious and non-religious Jews. He quotes Chaim Weizmann: “There are no English, French, German or American Jews, but only Jews living in England, France, Germany or America.” But, again, what exactly is “Jewish-ness”? We travel down labyrinths of history, myths, power politics, enfranchisemen t and disenfranchisement to ferret meanings. Judaism, we find, is an amalgamation of stories, legends, poems composed during “the Babylonian exile”—and a sense of exile and alienation are categorical indicators of “Jewish-ness.” Important clues come in the Bible’s Book of Esther. “In the Book of Esther,” Atzmon writes, “the Jews rescue themselves, and even get to mete out revenge.” To wit: Haman, the Persian King’s Prime Minister, “plots to have all the Jews in the Persian empire killed in revenge for a refusal by Esther’s cousin Mordechai to bow to him in respect.” Esther, “a brave and beautiful Jewish queen,” has never revealed her “Jewish” identity to her husband, the King! But, now she warns him of Haman’s murderous plot. The King has Haman and his 10 sons–innocent bystanders, really–hanged on gallows originally intended for Mordechai and allows the Jews to take up arms and slay their enemies. “The moral,” writes Atzmon, is clear: “If Jews want to survive, they had better infiltrate the corridors of power.” And this imperative to bond with power is an essential characteristic of “Jewishness”—notable in Esther’s time and in our contemporary world of AIPAC, think-tanks, media mesmerism and “message” control. If the roots of “Jewishness”—separateness and “exceptionalism,” non-assimilation, exilic indoctrination—are discernable in the old-time religion of the Book of Esther, they ramify into something remarkably different—yet genetically akin—in what Atzmon and others call “the Holocaust religion.” “Jewishness,” he writes, “is the materialisation of fear politics into a pragmatic agenda.” In the modern Holocaust religion, vengeful, omnipotent Yahweh has been replaced by the unchallengeable “truths” of the Holocaust—past suffering cited to justify Israel’s ethnic cleansing and expansionism, its formidable arsenal of nukes and other weapons, its threats and wars of aggression. In many ways, Atzmon’s book is a cri de couer addressed to Jews, specifically, but to humanity, generally, to grow up! To reach beyond tribalism and the politics of fear and vengeance. His style is dialectical, positing thesis and antithesis, arguing with himself and anticipating his readers’ (or opponents’) arguments to arrive at a plausible synthesis. The book is also a House of Mirrors—distorted and non-so—and Atzmon is our guide as he meditates on the various reflected aspects of himself and others while searching for the true notes and the high notes. This article was posted on Saturday, March 24th, 2012 at 8:01am and is filed under Book Review, Zionism.